When I read this post (link at bottom) I was so moved and inspired and energised to keep using my the gifts God has blessed me with to continue spreading his love and hope and encouragement - through what means? Letters! Such a simple thing, seemingly insignificant thing with such amazing, life changing effects!! Even for those who don't have the gift of writing - your sponsored children would cherish even a short letter from you! Or you can ask Compassion (or their partner offices! :)) to assign a correspondent to your child - a volunteer who will write to them and build a encouraging relationship with them through letters - that way your child will reap all the benefits from your generous financial support and a passionate letter writing volunteer's emotional and relational support. Likewise even though letters seem small compared to everything else they often yield the most significant outcome - many many lives have been changed through the faithful, love-filled letters sent to a sponsor - and sponsors lives have been changed too! As you read the post about Braudy and his experiences as a sponsored child may it inspire you to be the light in a child's life and spread the best news that there has ever been (or ever will be! :)) the news of God's love for them and what he has done for them through Jesus! God cares about each of these children more than we could ever imagine and he invites us to take the plunge and invest in their lives - both physically (with food, school supplies, medical care) and show them just how special and how loved they are - with the wonderful news of the gospel, encouraging letters from their sponsor, and inspirational leadership at their child development centre! With God, Compassion, and Us there is a way out of poverty for these children - what an exciting privilege to be included in God's plan for them! 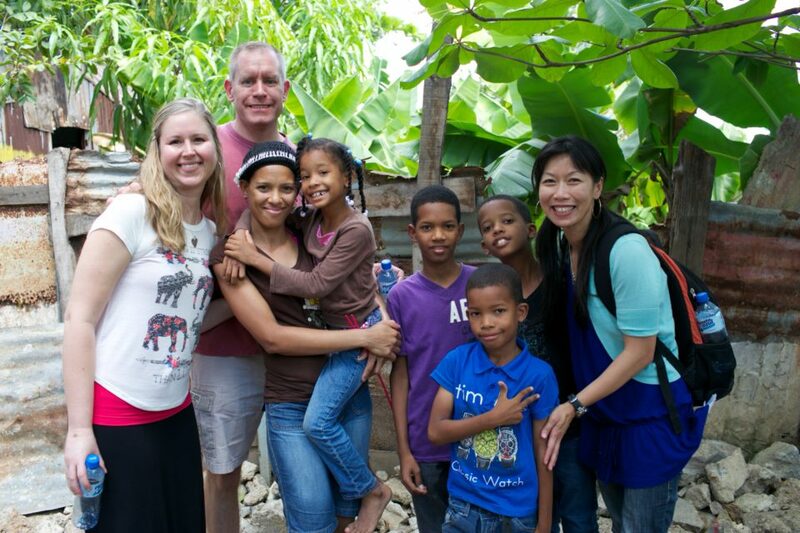 If you would like to sponsor a child (from the Dominican Republic or anywhere!) then it would be awesome if you could sponsor through this link because then it will help the child you sponsor **and** it will help our sponsored children by earning them a family gift through the bloggers reward program! You can also keep track of how many children are sponsored due to the bloggers trip (exciting!!) **and** you will get a beautiful heart necklace which says - "You are so very loved" - great to wear or to gift to someone!